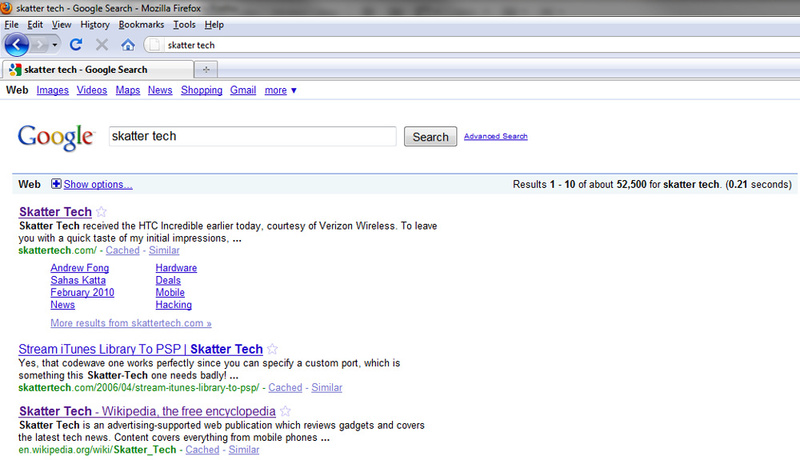 If all goes well, performing searches with Firefox’s AwesomeBar should bring up an entire page of Google search results. 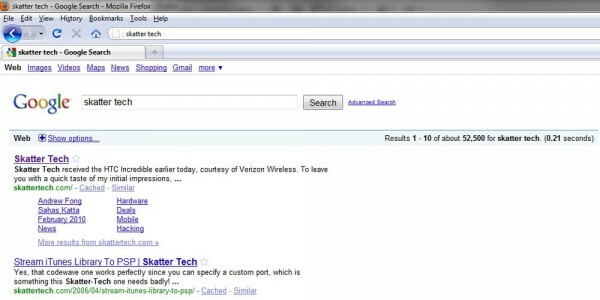 Do you have any other convenient Firefox tips for us? Let us know in the comments. Even though you’d have to type something like “g Skatter Tech” instead of “Skatter Tech”, it’s super simple to do, and can be done for all sorts of searches (I have keywords for IMDB, Amazon, GameFAQs, Bing, Google, Digg, and a lot more that I can’t think of right now). What about the solution suggested in the following bug report? Your comments and critiques would be much appreciated!